Cheap flights to USA: New York for only €405! KLM now offers also flights to USA for good prices. 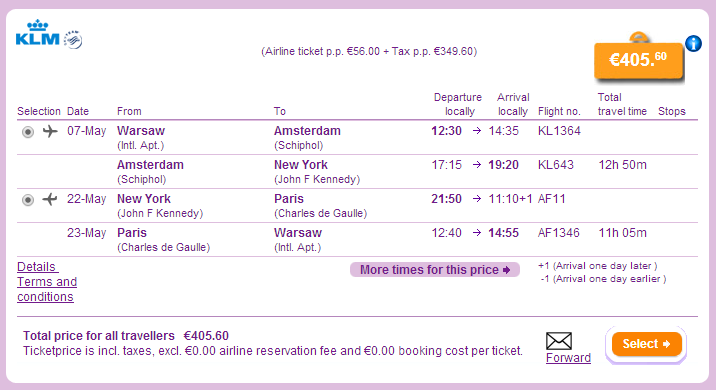 Return flights from Warsaw to New York (JFK) are available for only €405! Travel dates are until November 2014 with exception of Summer holidays. Book via Budgetair for best price, this offer is more expensive on official website. « HIT! Cheap flights to Russia: Budapest-Moscow for only €32!